Nearly 90% of marketers want to know the answer to that question. 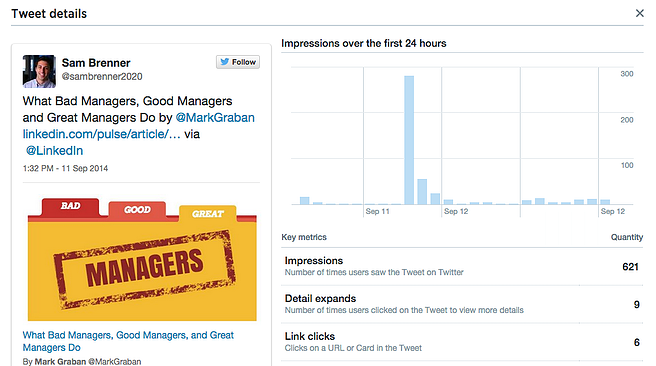 Twitter’s (@twitter) new analytics feature is certainly a step in the right direction. In July, Twitter launched its Tweet activity dashboard exclusively to a few advertisers and verified users. 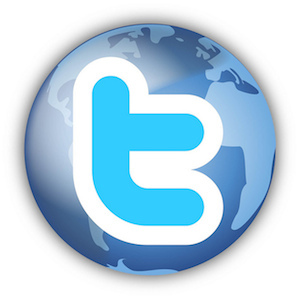 In late August, Twitter granted access to everyone, as long as you tweet in English, French, Japanese or Spanish, and have had an account for at least 14 days. The activity dashboard enables us to know more information on how our tweets are performing, who and where our audience is geographically, and what topics are most popular. If you haven’t taken the time to become familiar with the new dashboard, this post will tell you everything you want to know. If you’ve already poked around in the dashboard and think you have a good handle on the basics, scroll down to "Why This Matters for Marketers." The Tweet activity dashboard provides analytics for three areas: Tweets, Followers and Twitter Cards. If you aren’t familiar with Twitter Cards, read Jayson DeMers’ (@jaysondemers) post, The Definitive Guide to Using Twitter Cards. A chart of the last 28 days. The number of impressions your tweets have received. Contextual information, such as whether your impressions were higher or lower than the previous 28-day period. Impressions refer to the number of times a user sees your tweet on Twitter. Hover over any of the bars in the chart for a day-by-day breakdown of impressions. Engagement rate of tweets, replies and Promoted Tweets. Link clicks and profile clicks. This view also features a graph of the tweet’s impressions over the past 24 hours. 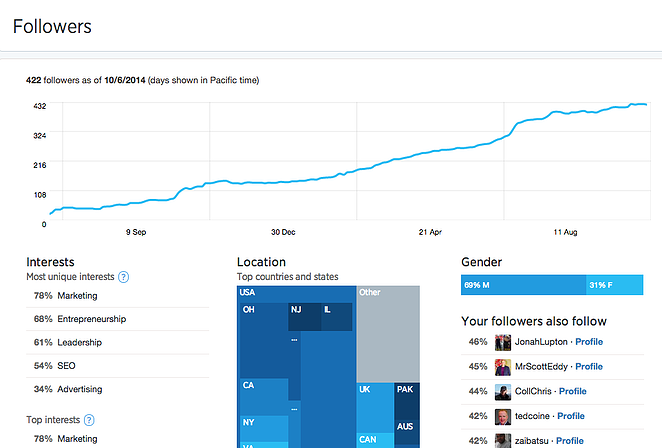 The analytics dashboard also tracks your follower growth, which shows the growth of your follower base over 12 months. The five most unique interests your followers share. The top countries, states and cities they reside in. The gender breakdown of your followers. The top Twitter accounts they follow. To gain a little more information on any of these analytics points, just hover over them. Better understand our audience. The “Followers” tab gives us a much better understanding of who is connecting with our content on Twitter. Whether you advertise on Twitter for revenue generation or use it as a content consumption, monitoring and distribution tool, knowing gender, interests and location of followers can influence the content we share and create. Cater content topics. Using the data from the “Tweet details” tab, you can discern which topics typically gain the most engagement from your audience. As you strategize for future Twitter content, this information should influence the type of content we share and the topics we cover. Don’t just push content. Twitter is still primarily a listening platform that should not be used to push links to content posted elsewhere. The most effective Twitter users understand that the platform is meant for conversation, not closing. Twitter is not an extension of your blog. Occasional links to posts and relevant articles still drive engagement, but original images, videos and infographics tend to perform best on Twitter. Native content is king content. Native social media content on Twitter resonates with its target audience and plays on emotion, compelling the consumer to share or engage. The release of Twitter’s activity dashboard further reinforces that social media marketing, like all marketing activities, can and should be measurable. Today’s online consumers are using multiple screens to interact with brands across multiple channels during multiple touch points. 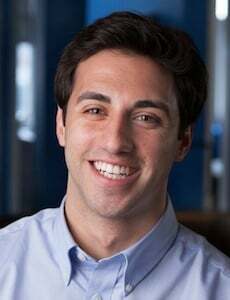 It is essential that marketers develop and execute multi-channel strategies that ensure content is visible and measurable on every channel available. Have you used Twitter’s new activity dashboard yet? If so, what do you think of it? What are your thoughts on its value? Let me know in the comments.